PHOENIX – Greyhound bus passengers of color, who speak with accents or simply are “not white,” routinely are questioned and sometimes detained by Customs and Border Protection agents, according to the American Civil Liberties Union. Billy Peard, a bilingual staff attorney for ACLU of Arizona, said the letter resulted from a number of incidents, including some in metro Phoenix. Greyhound has been communicating with the ACLU and discussions are ongoing, Peard said, but the outcome is unclear. 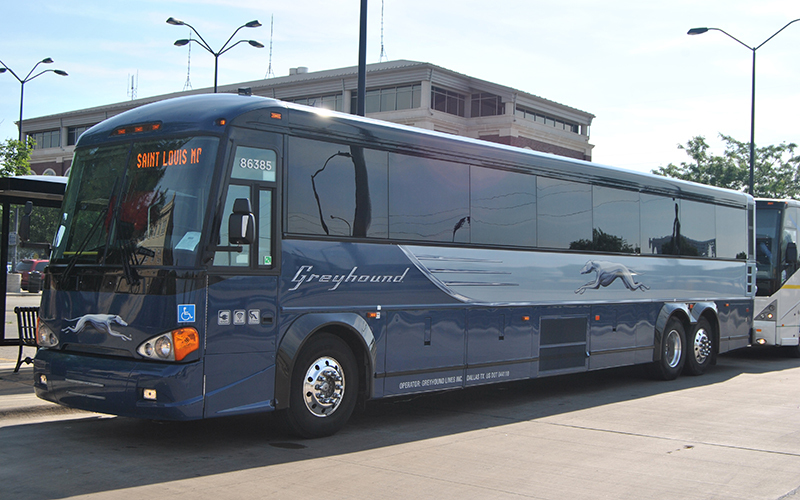 Ray A. Ybarra Maldonado, a criminal justice and immigration attorney, agreed that Greyhound isn’t required to allow federal authorities on company vehicles to interrogate passengers. “Greyhound could, in theory, when they get pulled over by Border Patrol agents or someone from Customs and Border Protection, not open the door to allow the officer in, unless the officer has a warrant signed by a judge that the judge says ‘I give you permission to enter into this vehicle to check for,’ whatever they’re checking for,” Maldonado said. The constitutional rights Maldonado mentioned are those under the Fourth Amendment, which protects against unreasonable search and seizures and is the basis for laws governing search warrants. CPB’s unwarranted searches on Greyhound buses violate those rights, Maldonado said. Maldonado said the issue is confusing because the general public is under the impression that Border Patrol has unfettered rights to do whatever they want, whenever they want. In cases where federal authorities board a bus for questioning, Maldonado advises passengers to not disclose personal details. Peard, with the ACLU, said Greyhound isn’t ensuring the well-being of its passengers. A private company as large as Greyhound would be expected to have the utmost, sound legal advice, Peard said. “Either they’re receiving poor legal advice from their attorneys, which is concerning, or they’re receiving accurate legal advice from their attorneys and they, nevertheless, have made the conscience decision to subject their customers, their passengers, their paying customers to unwarranted harassments and risk of deportation, when that could be avoidable,” he said. Cronkite News has reached out repeatedly to Greyhound for comment, but the company so far, has not responded.